HT Most Stylish 2016 winners. This paper cutting of the newspaper speaks clearly how this former union culture secretary cares about style. “The CEO of Prasar Bharati does classy like no other. 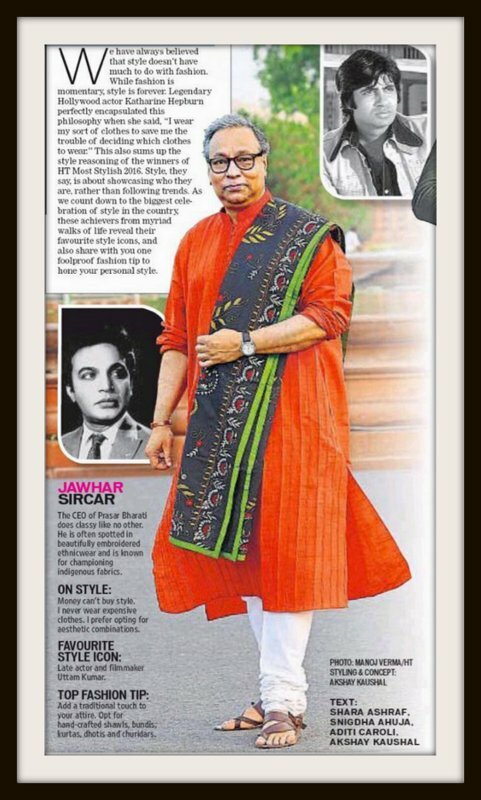 He is often spotted in beautifully embroidered ethnic wear and is known for championing indigenous fabrics”, the newspaper added. 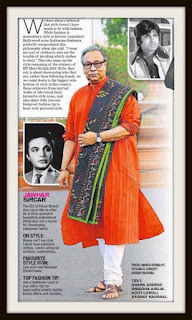 As reported, Sircar believes money can't buy style. “I never wear expensive clothes. I prefer opting for aesthetic combinations”, he is quoted as saying in the newspaper. As Prasar Bharati CEO, he looks after two national broadcasting networks — All India Radio and Doordarshan. A product of Presidency College and Calcutta University, Sircar did his MA in ancient Indian history and culture, and later a second masters in sociology. 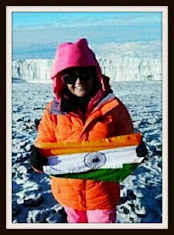 Later, he took sabbatical from IAS to study at the University of Cambridge and the University of Sussex, both in the United Kingdom. He was industry secretary in West Bengal and was a director in the ministry of commerce in Central deputation. He was also the development commissioner for Micro, Small and Medium Enterprises (MSME) where he championed massive cluster development. Sircar received a number of awards right from the best debater award in the IAS Academy in 1975 to British Museum’s silver medal for promoting museum reforms in 2011. And his favourite style icon? It’s actor and filmmaker Uttam Kumar.